Mohs micrographic surgery is a method of excising skin cancers in layers. With the layers, the entire edge and undersurface is examined under a microscope for the incidence of cancer cells. In areas where further cancer is noted, additional layers of the skin are removed until a level free of tumor is reached. The extent and depth of the tumor determine the number of layers of surgery necessary to remove the cancer. Most tumors are removed in 1-3 surgical stages. 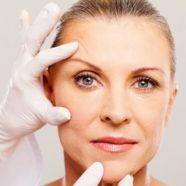 The cure rate with Mohs is 97%-99% with good preservation of normal skin and minimal scarring; particularly when dealing with cancers on the face. It offers the highest potential for a cure for skin cancer while minimizing the cosmetic impact. Skin cancers of the head & neck where preservation of normal skin is important. When a skin cancer returns after a prior treatment. View the MOHs Surgery Information Pamphlet.